Freshmen at the Neal-Marshall Black Culture Center now have the opportunity to be paired with upperclassmen mentors through one of many of new programs and events IU’s culture centers are implementing this semester. The NMBCC, the Asian Culture Center, GLBT Student Support Services and La Casa Latino Cultural Center have updated their event calendars, preparing for a new fall semester. The leadership program is in its first year. Monica Johnson, director of the NMBCC, said she thought it would be beneficial to students because it was a need she noticed in the past that the center wasn’t totally fulfilling. Johnson said registration for the Neal-Marshall Leadership Academy ended yesterday, and 68 “first year, first semester” students are currently enrolled. The program will help freshmen get acclimated to campus, she said. Upperclassmen mentors can teach their mentees individual leadership skills, give them tips on how to get involved on campus and provide advice on time management and being better self-advocates. Johnson said Neal-Marshall’s goal is always to help as many students as possible and to fall within the mission of IU culture centers’ parent body, the Office of the Vice President for Diversity, Equity and Multicultural Affairs. “I definitely want the center to reach more students, to be able to consistently support students that need more support,” Johnson said. Doug Bauder, director at the Gay, Lesbian, Bisexual, Transgender Student Support Services Office, said the center will maintain goals that it’s had in past years while focusing on sponsoring new events. The biggest change the center will go through this year is changing its name to be more inclusive to all students, Bauder said. “The goals don’t change, really,” Bauder said. The purpose of the center this year, as always, will be to support and educate students, especially queer students, who need help. But Bauder said that this by no means suggests that straight students cannot also get help from the center. Anyone who needs something related to the center’s services is welcome, he said. One event this year that the center will be involved in is First Thursdays, Bauder said, which will be presented by the IU Arts and Humanities Council. Fittingly, First Thursdays will take place on the first Thursday of every month, beginning Sept. 1. At the first event, there will be a DJ, poetry slam, crafts, treasure hunt and food. Bauder said GLBTSSS was asked by the Provost’s Office to highlight the arts in the University. 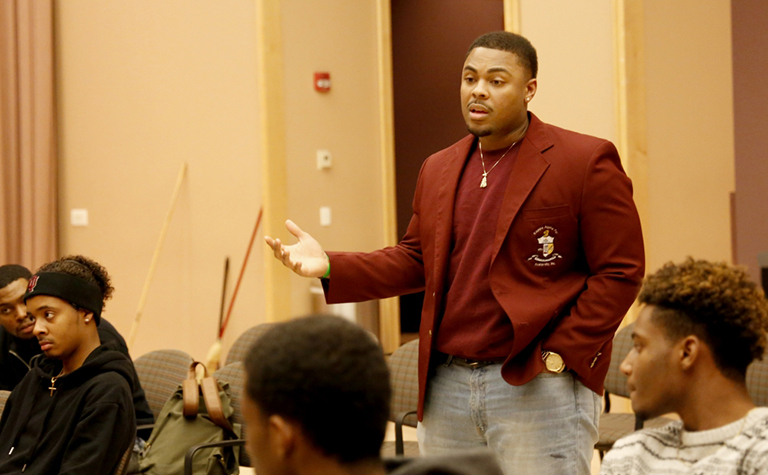 GLBTSSS always gets asked to sponsor and participate in tons of activities on campus, Bauder said, but to him it’s just more of the same: supporting students. “Support is for everyone,” he said.